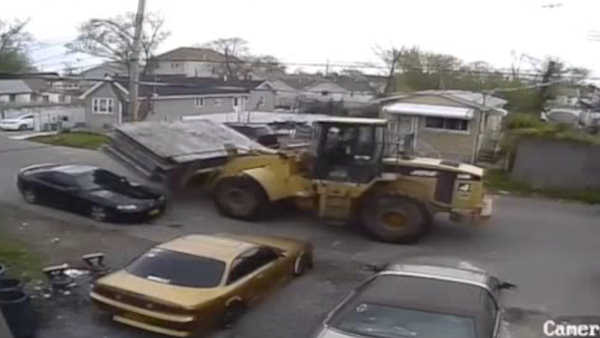 MIDLAND BEACH, Staten Island (WABC) -- A car on Staten Island was damaged by a bulldozer that drove away from the scene. The incident happened three weeks ago on Freeborn Street in the Midland Beach neighborhood, and was captured on surveillance video. The owner of the car has reached out to the construction company that they believe owns the machinery, but has not yet heard back. The car, a 2006 Pontiac GTO, sustained $10,000 worth of damage.